Wow! What a way to make an impression! 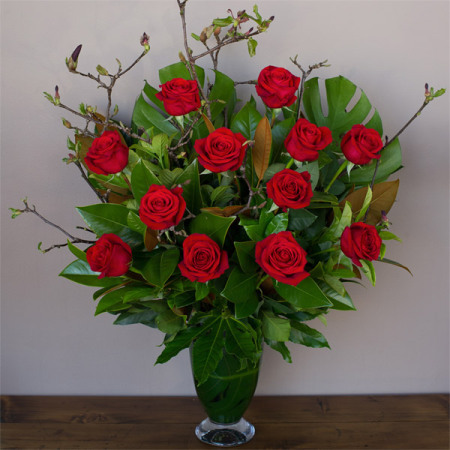 This magnificent arrangement of 12 sensational long stem red roses and lush foliage beautifully presented in a stylish glass vase. Perfect way to say "I love you" or for special occasions like Valentine`s Day.